Where and how you work has a significant impact on your productivity—so much so that Deano Roberts, our Senior Director of Global Workplace and Real Estate, has made it a personal mission to design the most distraction-free office possible. Here’s how he looks at the relationship between our work environment and our ability to be productive and efficient at work. As a result, Roberts has made an effort to provide employees with a mix of options based on the environment in which they work best. That includes an equal number of seats away from people’s desks. “Who am I to dictate that you will sit in row 43B and do the most productive work of your life for these eight hours a day?” he says. Roberts also believes in eliminating anything else about your physical work environment that makes it difficult to focus. If your chair is broken, for example, you might spend days or weeks being irritated about it or trying to figure out how to fix it or get a new one. At Slack, you’d simply report it to Roberts’s team, and they would replace it as quickly as possible. In addition to creating a workspace that eliminates distraction, Roberts is also dedicated to making it easy for employees to take mental breaks from their work. “We’re very mindful that there are people that need to shut down for a half hour a day to be productive,” he says. To provide for that need, Roberts has made space at Slack for smaller one- and two-person rooms, nap rooms, and break rooms. “We have a lot of chairs that face outward towards windows and down hallways that no one goes down,” he adds. That way, employees have somewhere to go if they need a break from the mental pushups they do all day. If you’re taking a break, though, make sure it’s a real one. According to Fast Company, taking a walk, eating a snack, or allowing your mind to wander is much better than scrolling through social media on your phone. It’s unlikely that every part of your job is energizing. 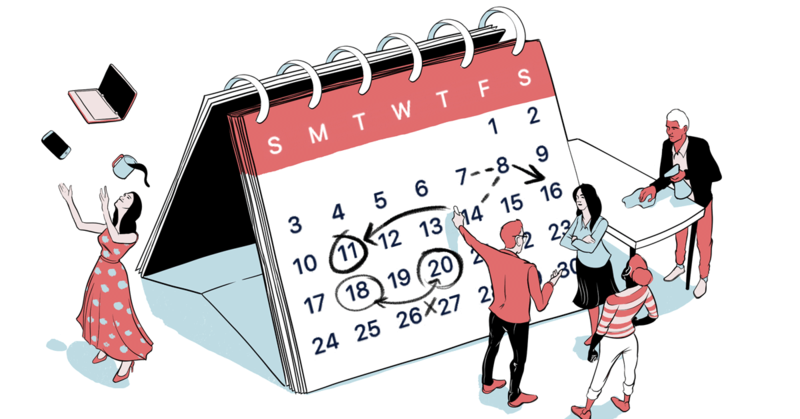 To keep less-inspiring tasks from putting a damper on your productivity throughout the week, Roberts recommends batching them. But neglecting the necessary tactical work can make your life difficult in the long run. So whether it’s dedicating an entire day to it once a week or a couple of hours a day, plan for it and hit it hard. Roberts has been a U.S. Army service member for the past 24 years, and his approach to time management has come mainly from that experience. The most important thing to realize, he says, is that you can’t do it all, so you need to figure out what’s essential. That mindset has served Roberts well as he’s been a part of special operations and elite organizations in the military. What’s more, he believes it translates well to the tech industry, where the environment—high risk with an uncertain reward and a lot of ambiguity—is similar. Roberts believes that the energy flow in any work environment begins and ends with its leaders. If a leader is positive, poised, and trustworthy, employees will feel safe. But if a leader is panicked, uncertain, or chaotic, people will echo those things. If you focus more on finding mission success than on the people who can make it happen, you’ll fail. But as leaders empower their people to do to their best work, a naturally good energy can come from that.